Renewing Lip Sync Battle for a third season was probably one of the easiest renewal decisions Spike President Kevin Kay has had to make. The music-driven series is the network’s most watched original series, with season two of the show averaging 4.4 million viewers. According to Spike, Lip Sync Battle is #1 in its timeslot among adults 18 to 49. Season two airs on Thursday nights at 10pm ET/PT with LL Cool J hosting and Chrissy Teigen providing color commentary. The second season kicked off on January 7th and set new ratings records for Spike. More than 4.7 million viewers watched a special one hour episode which featured a showdown between husband and wife actors, Channing Tatum and Jenna Dewan Tatum. 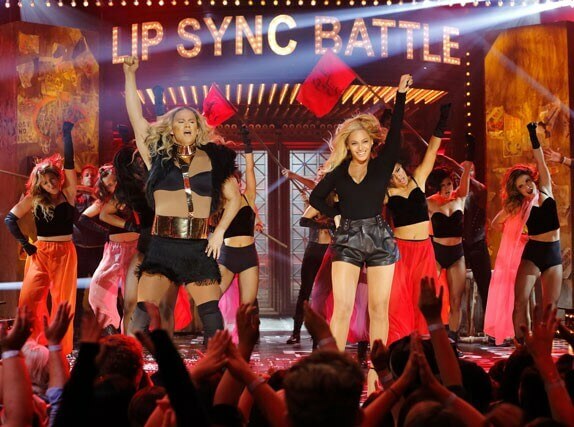 The episode also featured special appearances by Paula Abdul and Beyonce. The premiere episode, which featured special appearances by Paula Abdul and Beyonce, set a new record as the most watched original series episode in Spike’s history. Season three will consist of 20 new episodes to be shot later this year. Casey Patterson, Jay Peterson, John Krasinski, and Stephen Merchant executive produce.